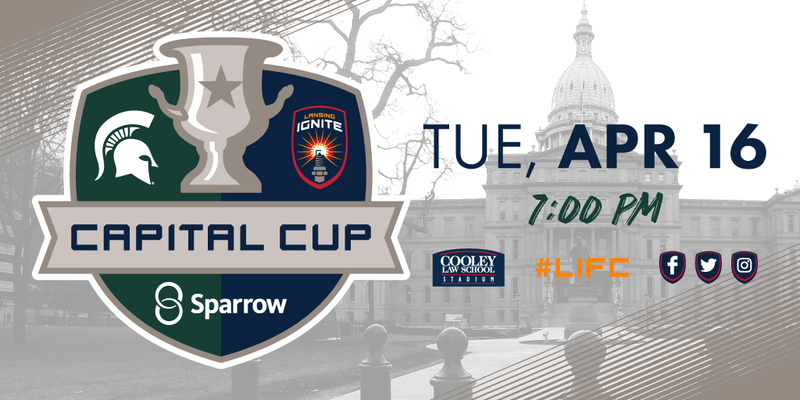 LANSING, Mich. – Lansing Ignite FC is set to kick off against Michigan State University's men's soccer program in the first Capital Cup, presented by Sparrow, at 7 p.m. ET on Tuesday. Fans of LIFC and the Spartans can purchase tickets here, while MSU students can secure $5 tickets here. 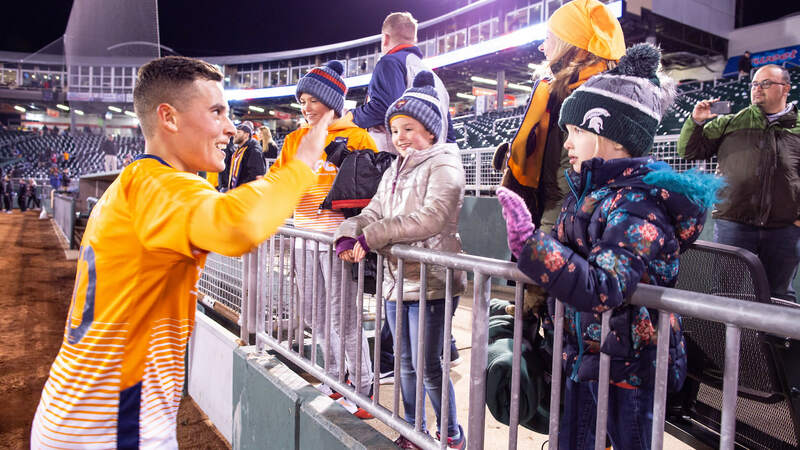 LIFC just recorded its second victory of the USL League One regular season, defeating the Richmond Kickers in the first professional soccer game at Cooley Law School Stadium. The Spartans are coming off of one of their most impressive seasons in program history, reaching the College Cup. Follow @lansingignite on Twitter for in-game updates, and subscribe to LIFC's YouTube channel for post-match highlights and interviews. Michigan State University's men's soccer program is led by Head Coach Damon Rensing. The Spartans have recorded at least 13 victories in the past three seasons, reaching the Elite Eight in 2017 and the College Cup (Final Four) in 2018. LIFC is 2-1-0 in the USL League One regular season, defeating the Richmond Kickers 3-2 on March 30 and 3-1 on April 14, while falling 2-1 to Greenville Triumph SC on April 6. Seven different players (Tumi Moshobane, Xavier Gomez, Kevin Coiffic, Ricky Lopez-Espin, Nick Moon, Alex Bruce and Grant Stoneman) have scored a goal for LIFC in the first three regular season matches.